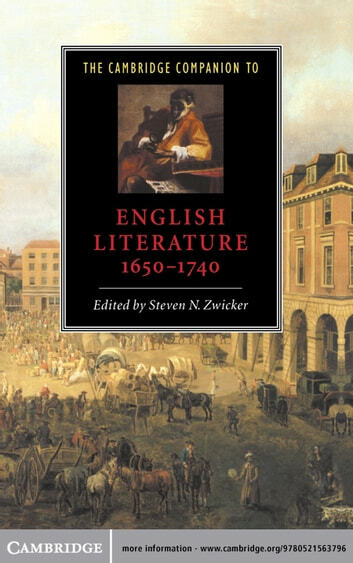 This volume offers an account of English literary culture in one of its most volatile and politically engaged moments. From the work of Milton and Marvell in the 1650s and 1660s through the brilliant careers of Dryden, Rochester, and Behn, Locke and Astell, Swift and Defoe, Pope and Montagu, the pressures and extremes of social, political, and sexual experience are everywhere reflected in literary texts: in the daring lyrics and intricate political allegories of this age, in the vitriol and bristling topicality of its satires as well as in the imaginative flight of its mock epics, fictions, and heroic verse. The volume's chronologies and select bibliographies will guide the reader through texts and events, while the fourteen essays commissioned for this Companion will allow us to read the period anew.